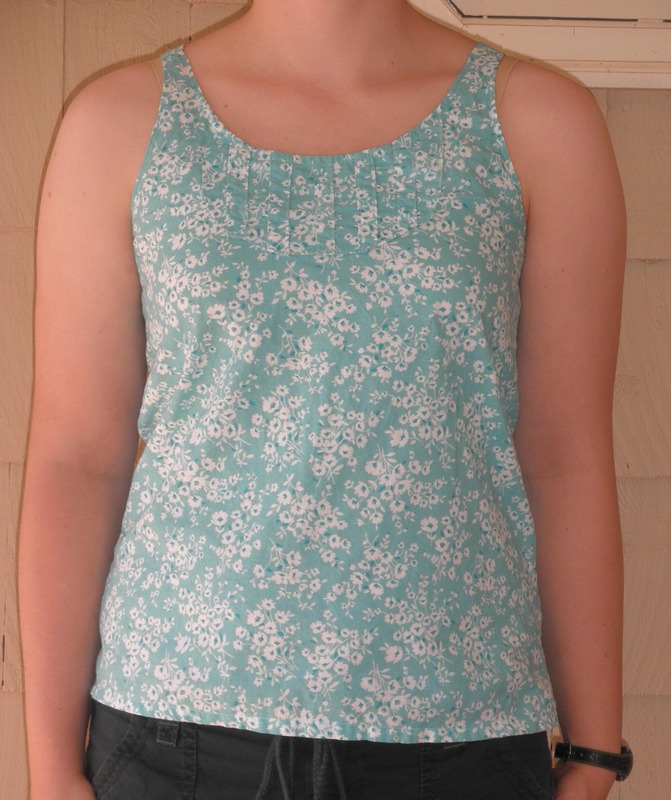 I Made a Tank Top! 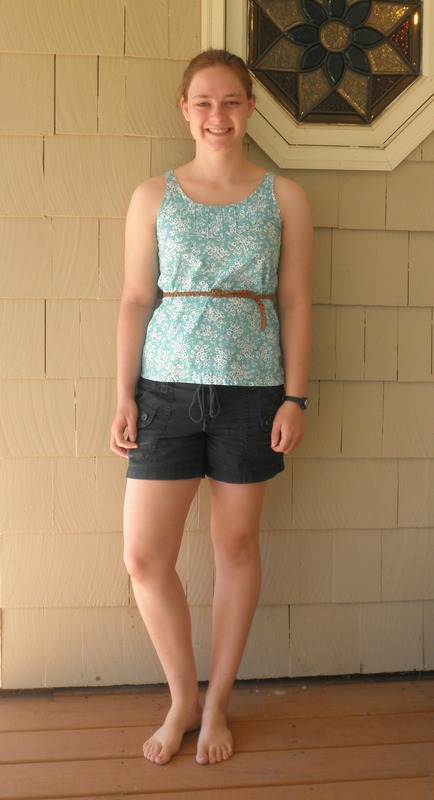 As I mentioned a couple of months ago, I made my first article of clothing this summer. 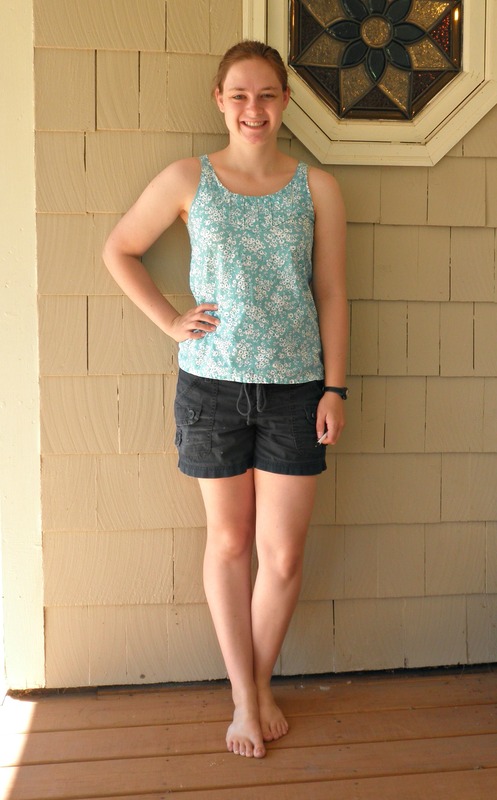 It is a tank top that I self drafted. I took a tank top that I already owned and traced around it, changing the back so that it wasn’t a racer-back. I also made this one quite a bit shorter, because I didn’t like the length of the original shirt. I absolutely love this fabric! It’s a quilting fabric, so it wrinkles easily and is a bit stiffer than I normally prefer, but it’s really pretty and was easy to work with. I also added a detail to the front. I wanted it to be a bit larger, but like it anyway. There are two things I don’t really like about it: the shoulder straps are a bit too thin and it’s a bit tight in the chest. I really love the way it looks with a belt, since it makes the too-tight chest thing less obvious. Overall, I’m really pleased with how it turned out! Next Article Back to College!